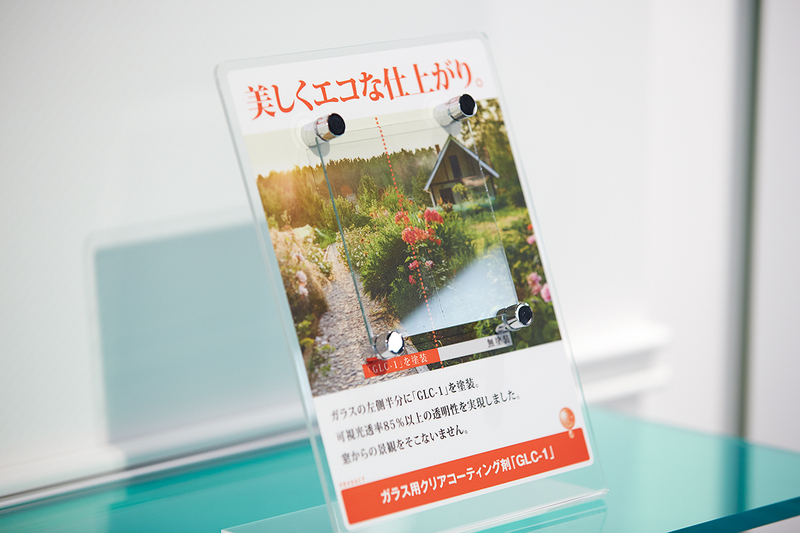 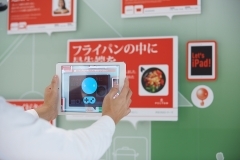 The showroom “Okini” has been opened in Okitsumo head office (Nabari-shi Mie). 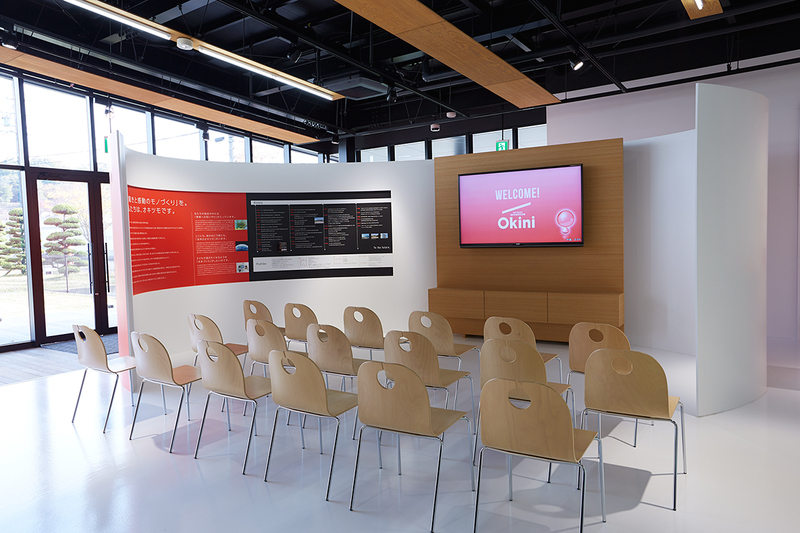 Okini provides surprising and impressive arrangements in which you can recognize Okitsumo history and how Okitusmo's paint has been applied everywhere in the society and life. Please see, touch, and experience the unlimited possibilities of paint. 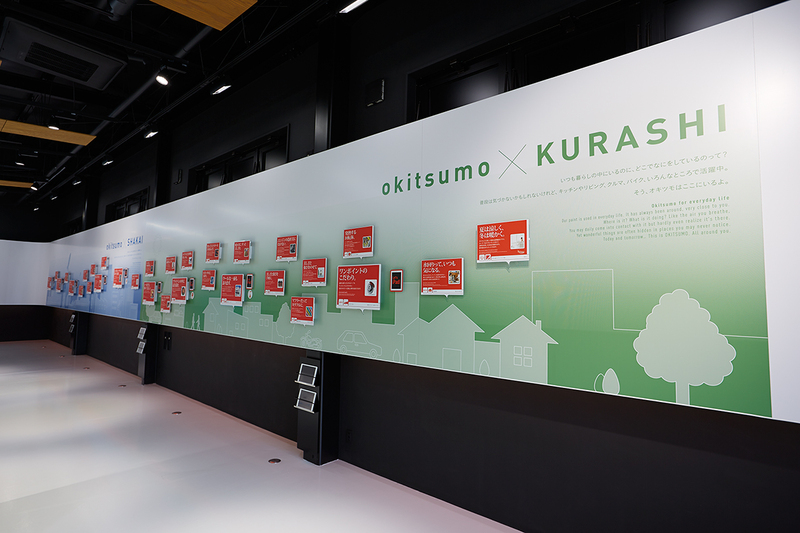 HISTORY zone introduces the Okitsumo history via VTR. 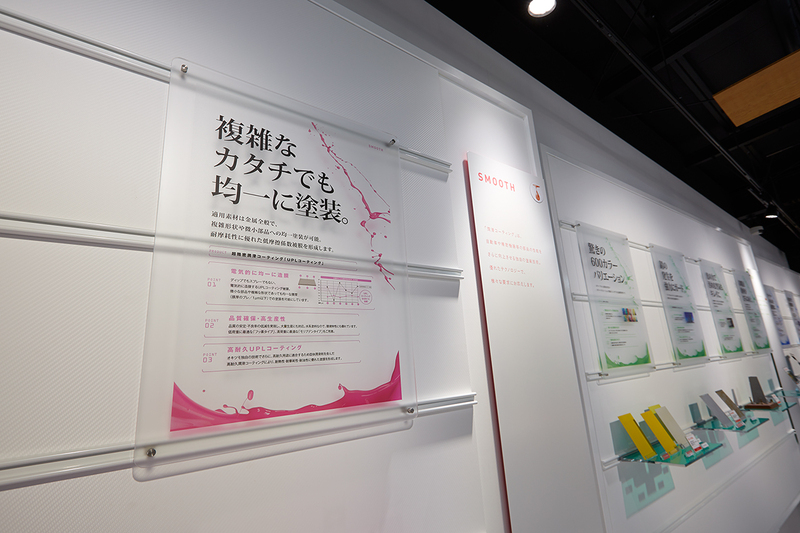 KURASHI and SHAKAI zones provide how various types of paints are applied in our lives and society in concrete ways. 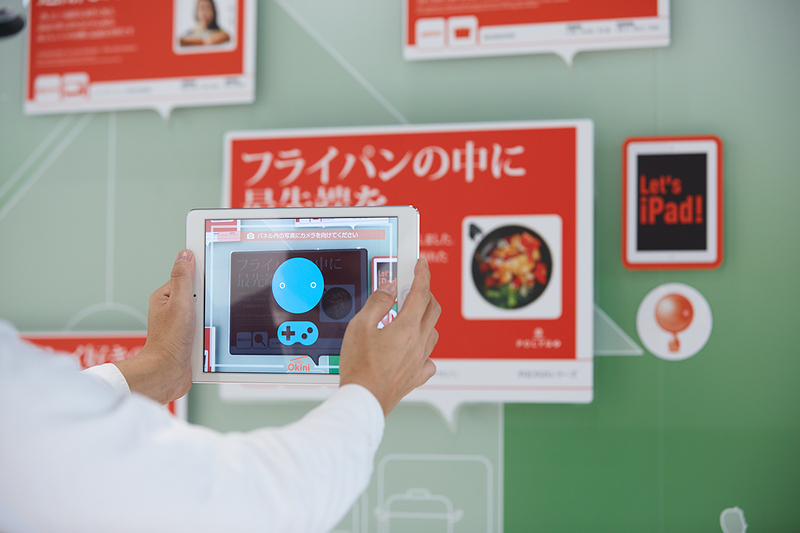 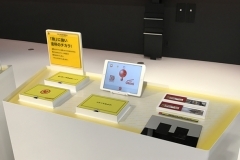 Attractions using iPad are also available. 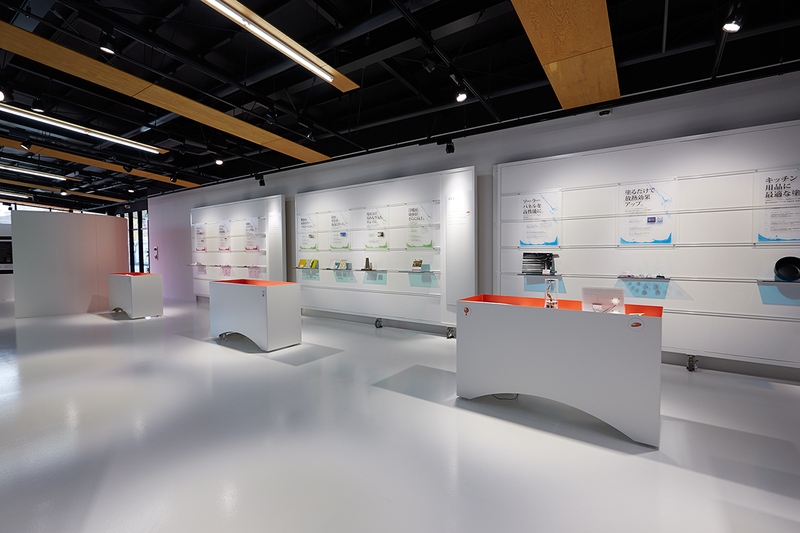 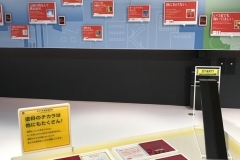 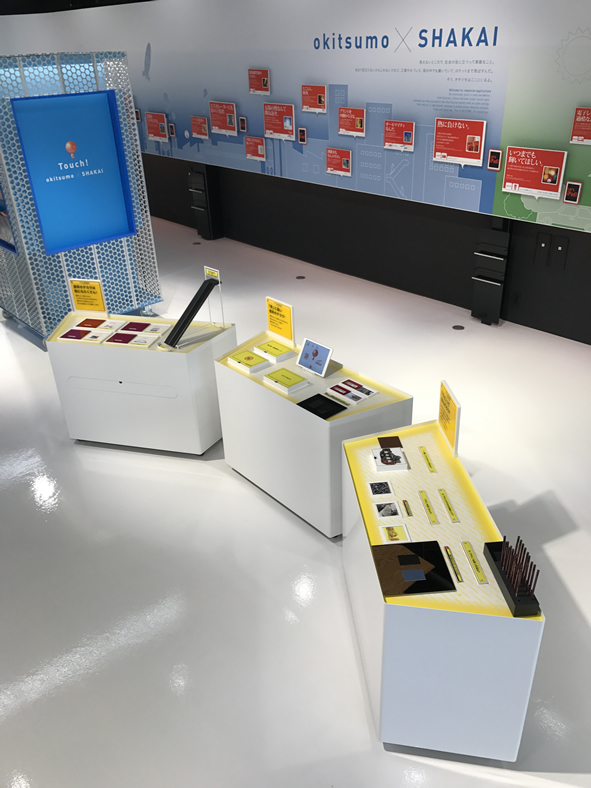 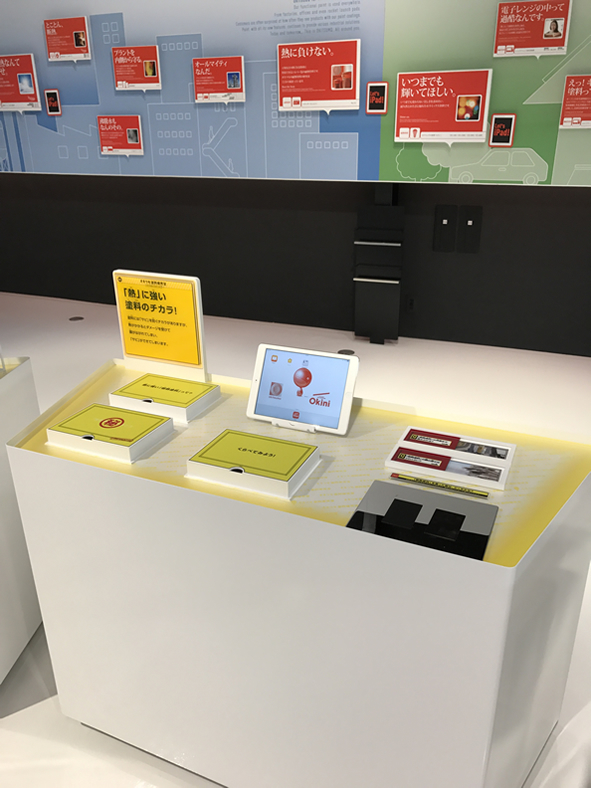 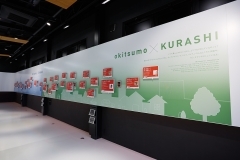 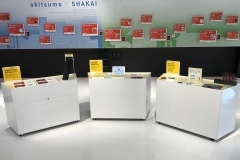 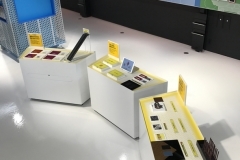 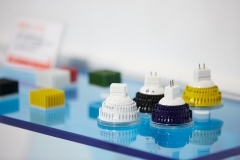 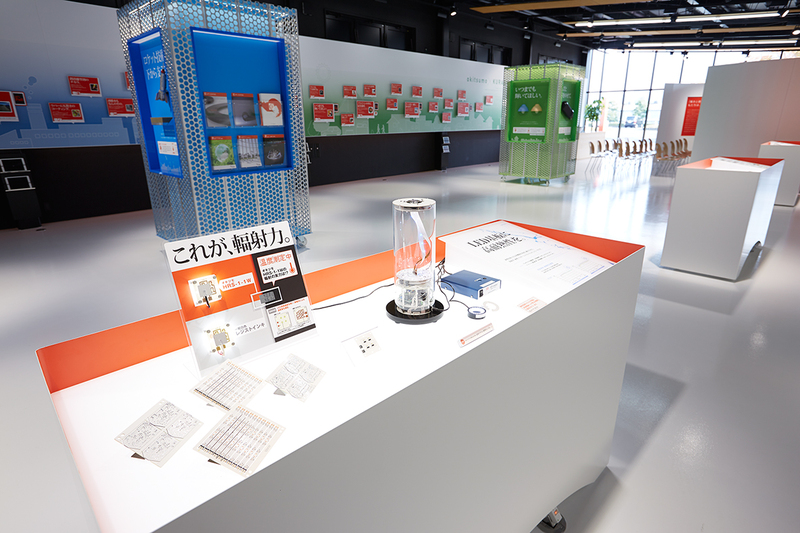 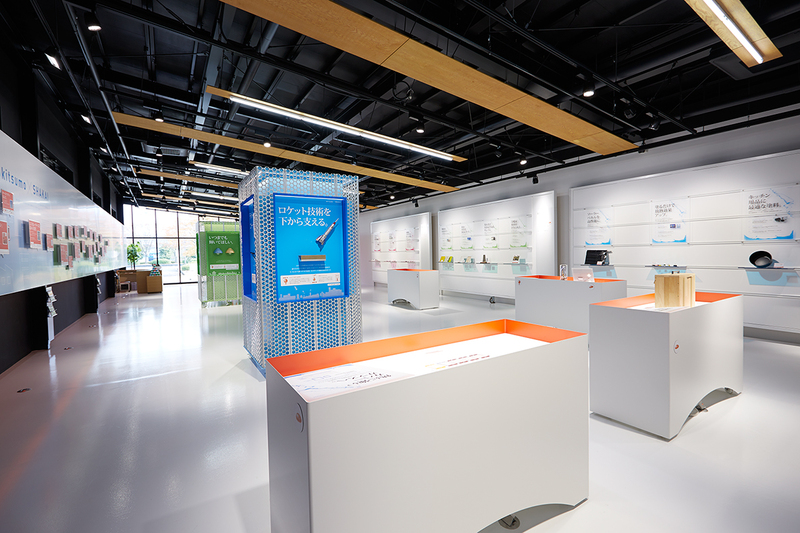 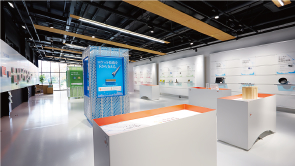 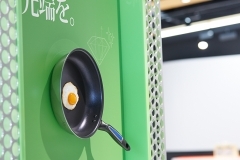 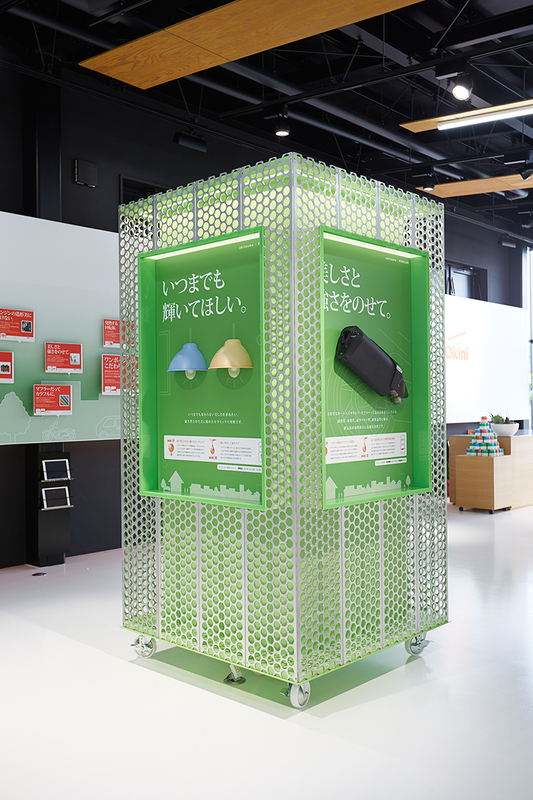 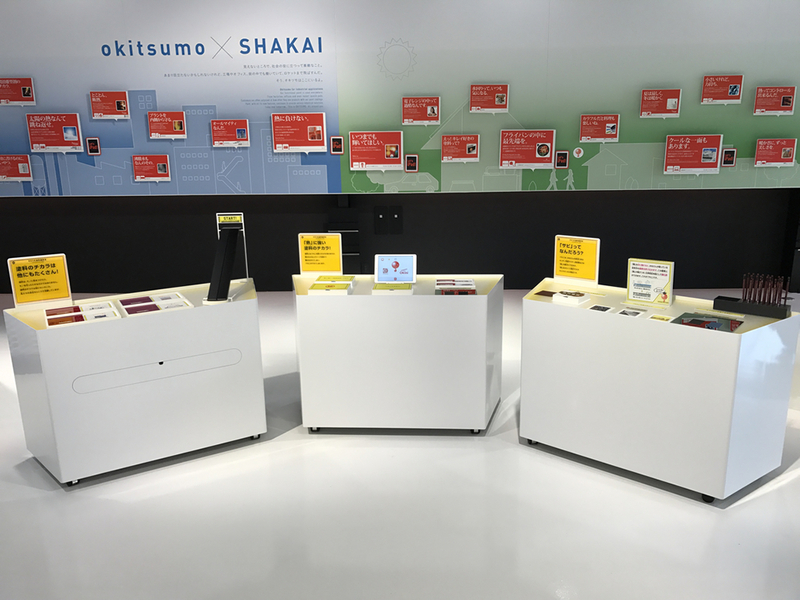 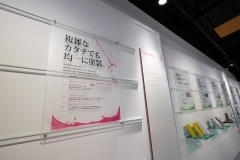 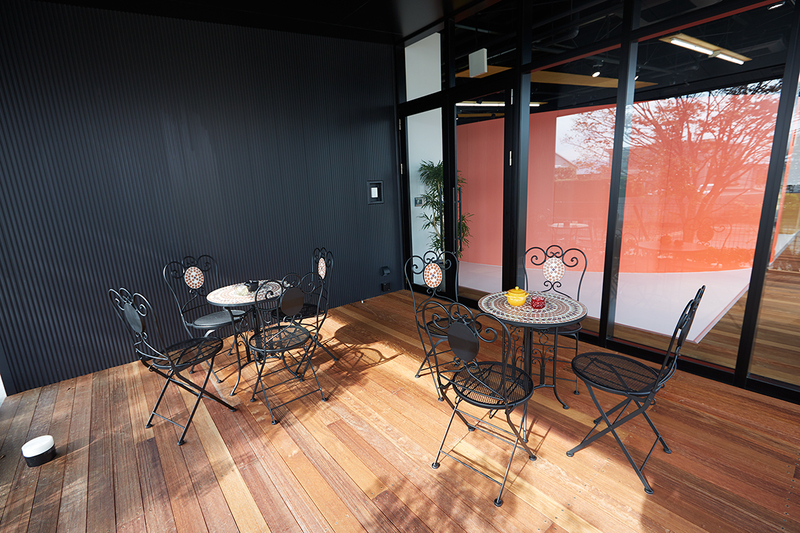 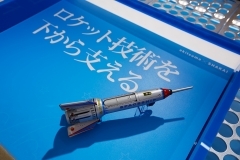 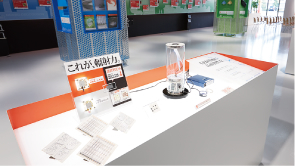 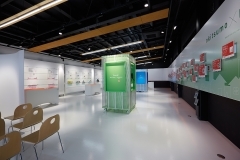 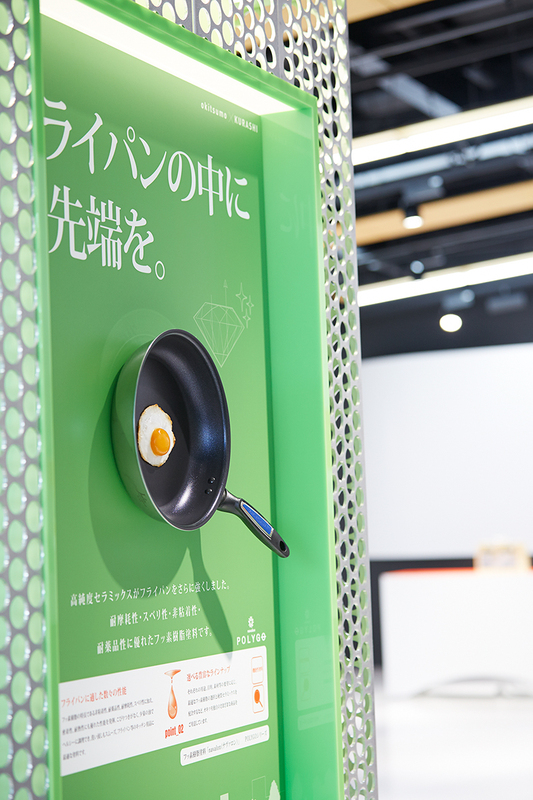 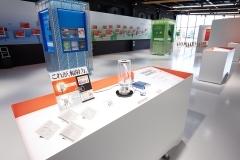 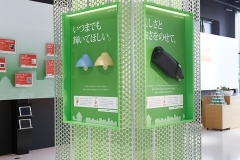 Okitsumo's actual products, such as functional paints, environmentally conscious paints, lubricant paints, and coating methodologies are exhibited. 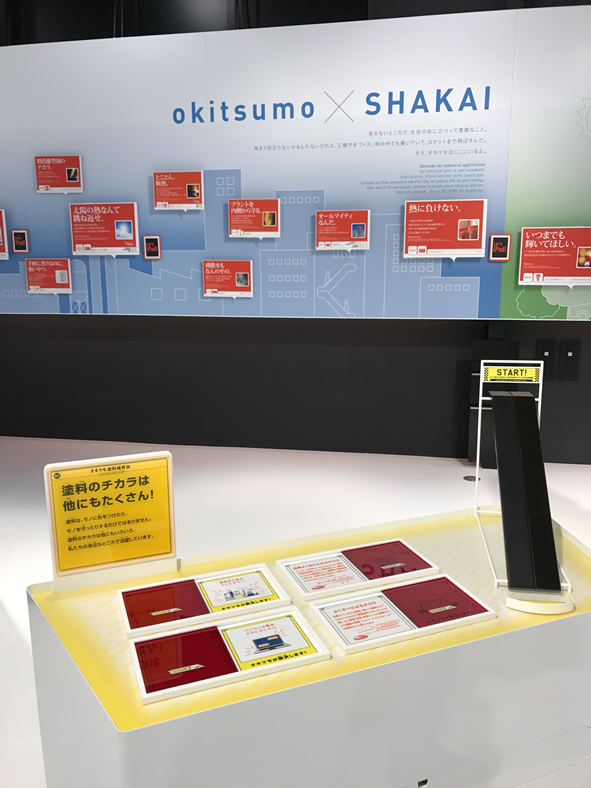 Okitsumo's technologies are introduced here in detail. 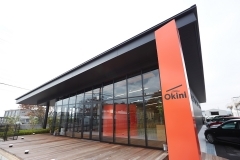 If you would like to visit Okini, please make a reservation through our sales personnel or the contact information below. 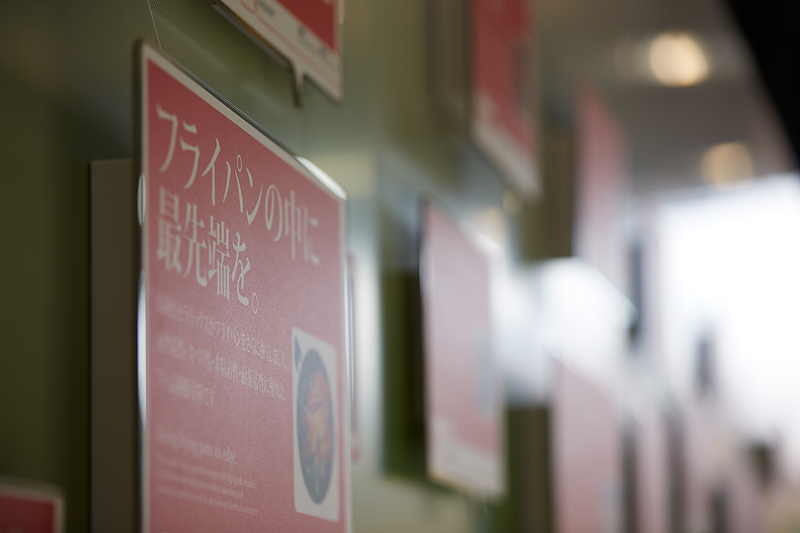 Our personnel will contact you later.